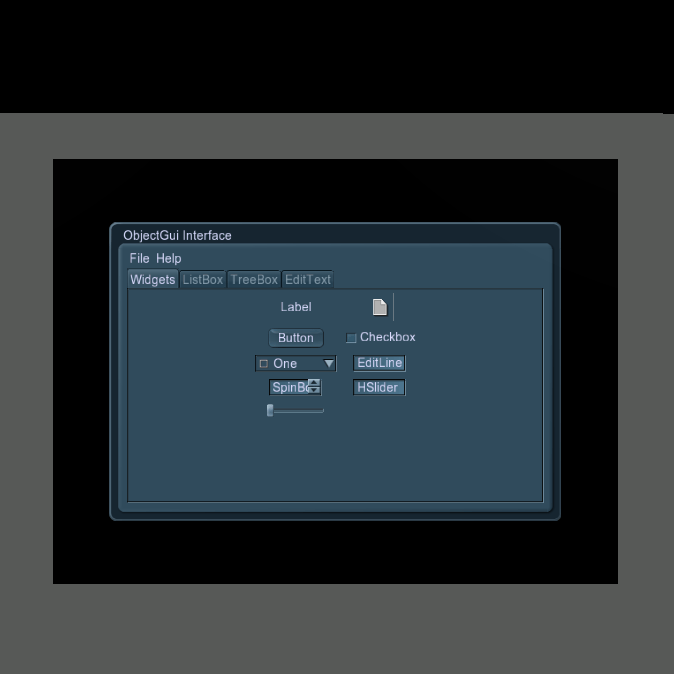 GUI is a flat GUI object that is positioned in the world and to which different widgets are assigned to be displayed. 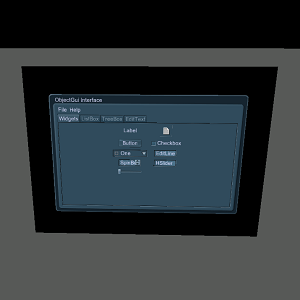 Basically, a flat GUI object is a flat display, on which GUI is rendered. 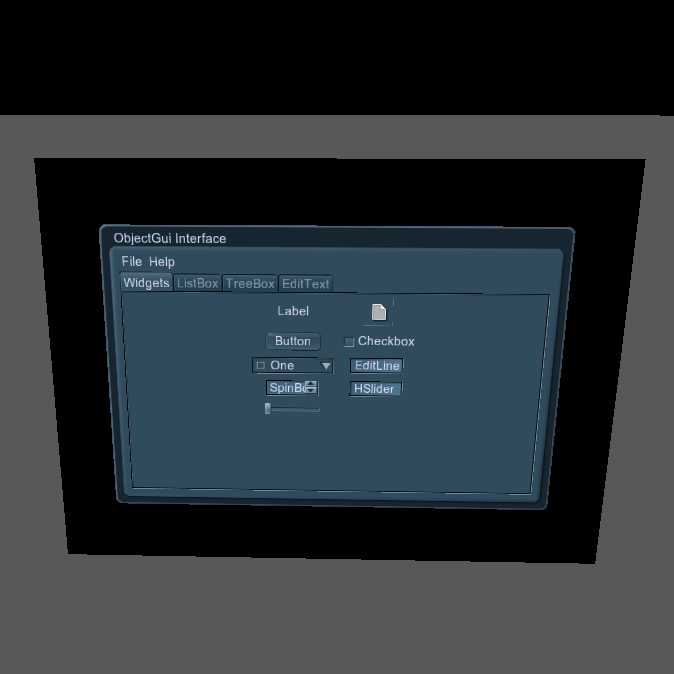 You can interact with such GUI the same way as with GUI created via the Gui class. Post-process filters can be applied to a flat GUI object (for example, motion blur or any other). You can add a GUI via UnigineEditor and then assign a widget to it via UnigineScript. 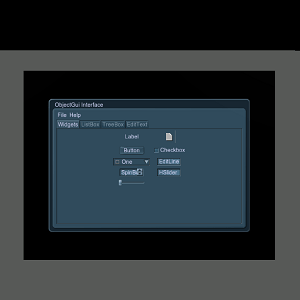 On the Menu bar, click Create -> Effects -> GUI. Place the created GUI in the world and specify the required parameters for it. 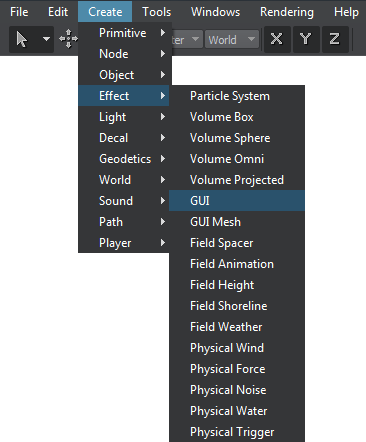 In the script, get the GUI via the engine.editor.getNodeByName() (or engine.editor.getNode() if the node index is known) and assign a widget to it by using functions of the ObjectGui class. Indicates if the GUI is rendered as a billboard. Indicates if the GUI background (black screen) should be rendered. 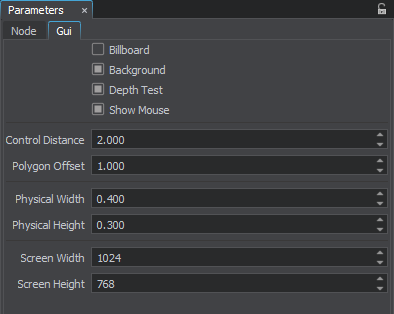 Indicates if the depth test should be used for the GUI object. Indicates if the mouse cursor should be rendered in the GUI object. Distance at which the GUI object becomes controllable. Offset of the GUI above the background. This parameter is set to avoid z-fighting. Width of the GUI in units. Height of the GUI in units. Width of the GUI in pixels. Height of the GUI in pixels.